iOS game development: How to innovate something that’s been done 100x of times before. Look and see how you can be innovative something new from an idea that’s been done before. Advertise those new and innovative elements going forward. After doing some research I figured a difference game would be the perfect project for my first title. A difference game is a simple picture puzzle game where the user is shown two seemingly identical images and is tasked with finding the differences. following the requirements I had set for myself (see this post) this seemed to make sense. It was definitely something that I could finish in less than six months, its engine can be used in other titles, the game would hit a perfect balance between consumable and re-playable and after seeing how other people have approached building the game I knew what I had in mind would also bring something new and innovative. What could possibly be new and innovate in a difference game? This is something that’s been done many times and doing a search on the App Store brings back more than 200 different titles. After browsing through the many difference puzzle games in the App Store it was easy to see where I could ‘innovate’. In my opinion the biggest hurdle in preventing a picture puzzle games from being fun is the limited screen size on iOS devices. 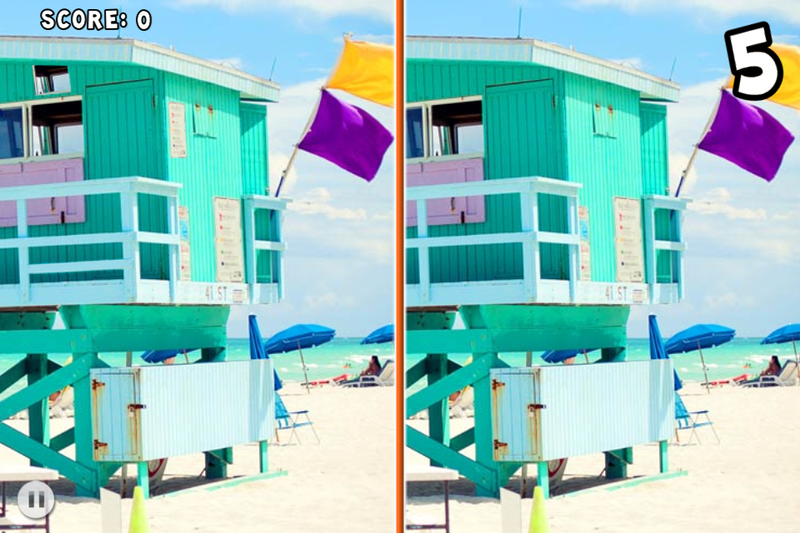 You have to display two pictures on one tiny screen and then task the user with finding the differences on it. It was interesting to see that out of 100+ titles in the App Store (many of them didn’t even work..) none of them had managed to address this issue. They had jammed two tiny pictures and had advertised themselves as HD. So problem one was to figure out how to address the limited screen-size and provide something that is fun. 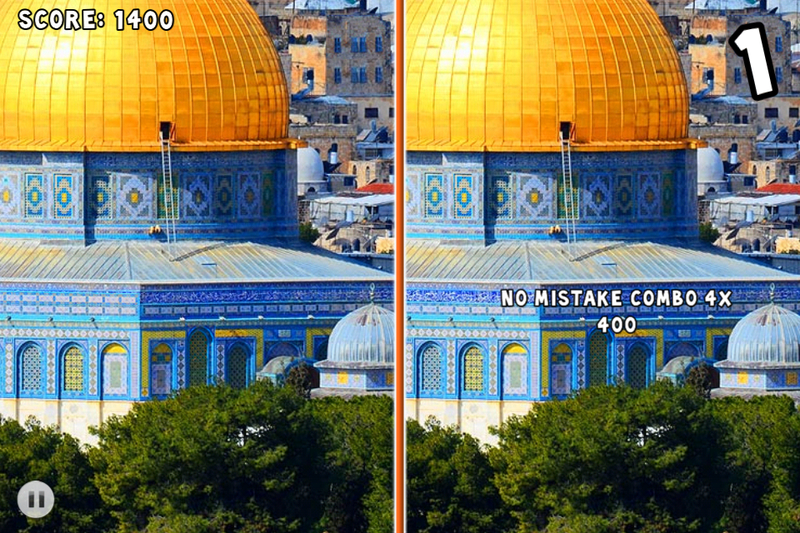 The way I approached this problem was to keep the images high resolution. I would split the screen down the middle and have the user pan around the two images. The screen size is able to adapt to the amount of pixels it has depending on the device. 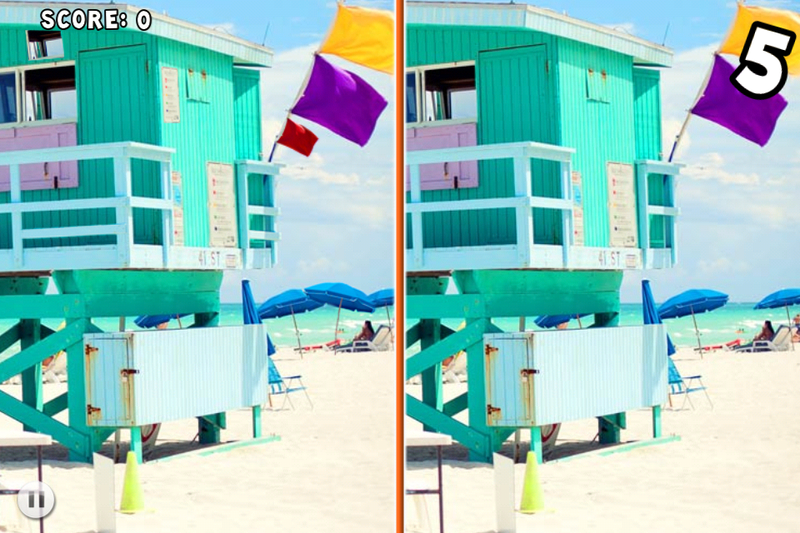 The user can then move to the four corners of the image by swiping from one end to the next. 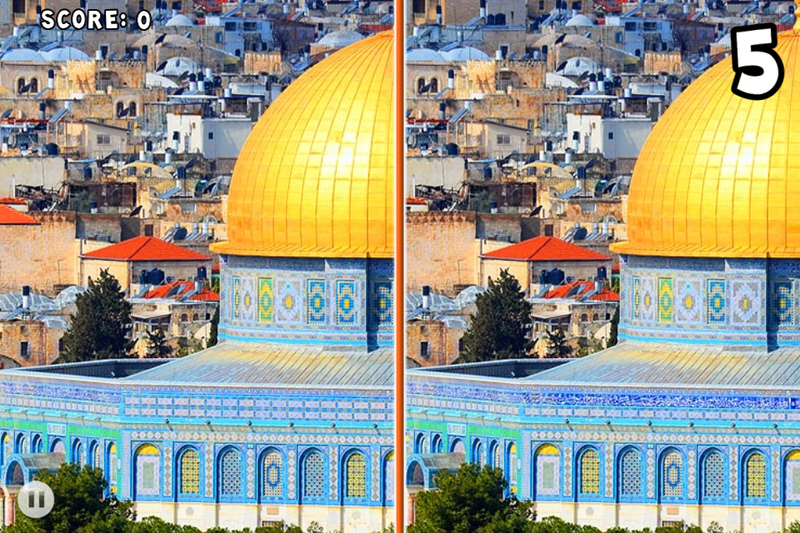 Ability to pan around an image to find its differences helps retain the high quality of the image and solves the problem of limited screen size. Same level, panned from different angles. The second thing that stood out for me, was that most titles had photoshoped two pictures with static differences. Meaning once you play a level and figure out all the differences, that level would have little to no replayability. If I wanted to meet my third requirement of hitting a perfect balance between replayability and consumability I would have to figure out a way so replays do not end up being the same. This would mean I would define a set of differences per level and have the game pick a random subset of it for each play through so the differences are always changing. I also added a comprehensive scoring system that rewarded players for achieving near impossible tasks. With this approach I had provided replayability for the casual gamer and over the top challenges for the power player. Same level has different differences loaded. This makes each level replayable as two runs are usually never the same. I knew there would be a lot of competition from the get go. There are hundreds of game on the App Store that are based on the same idea. So it was important to for me to add something new and innovative. -Look and see how you can be innovative with an idea that’s been done 100x before. -Advertise those elements going forward. Read more from Blog Posts!